and it will restrict access to online information. 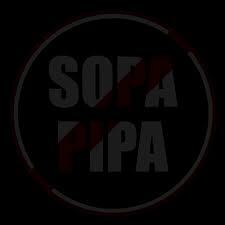 This entry was posted in MMADfan Blog Stuff and tagged Stop SOPA. Bookmark the permalink. I’m on board with the protests, too. It’s good to see so many ‘net users united by a common cause, as it’ll get the message across, hopefully where it’s needed. It’s good to see you, Regina! I’m afraid I’ve not been a very good blogger recently! Maybe I’ll get better. It would probably help if I set a posting schedule and made it a point to post something at least once a week. BTW, I’m going to add some free downloads of mobi books that people can access from the blog rather than the Yahoo! Group — they’ll all be rated T and below, and will include some fics that are already available here, but some people might enjoy being able to take them with them.